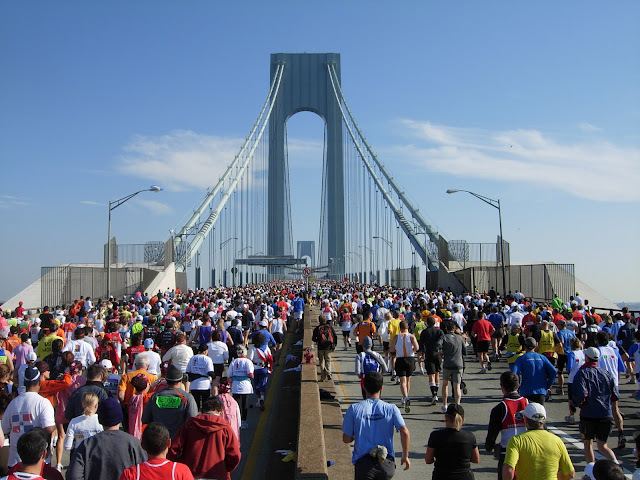 We're proud to have run and finished the New York City Marathon, one of the best marathons in the world. 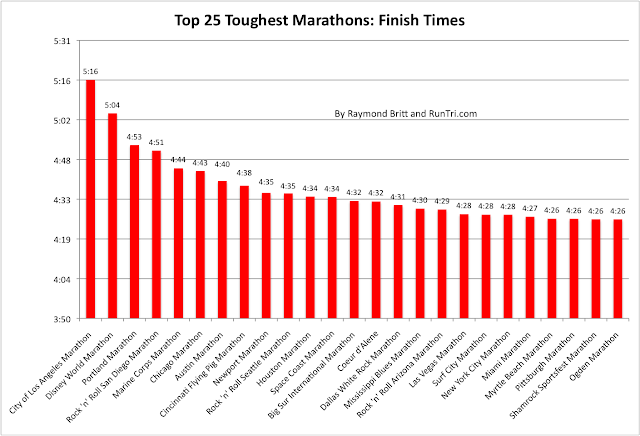 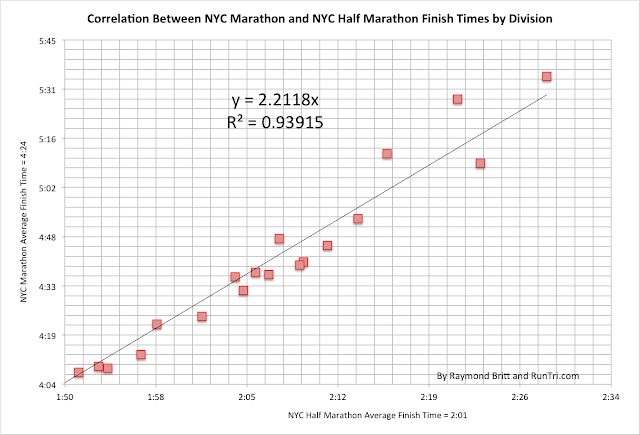 We've done a great deal of analysis to help understand the race's dynamics, how it compares to other major marathons, and what to expect on race day. 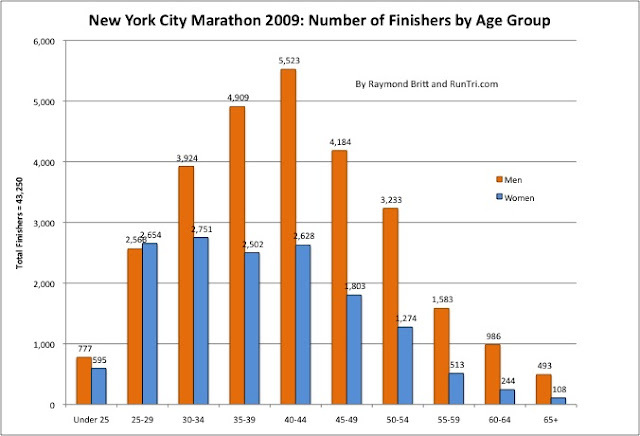 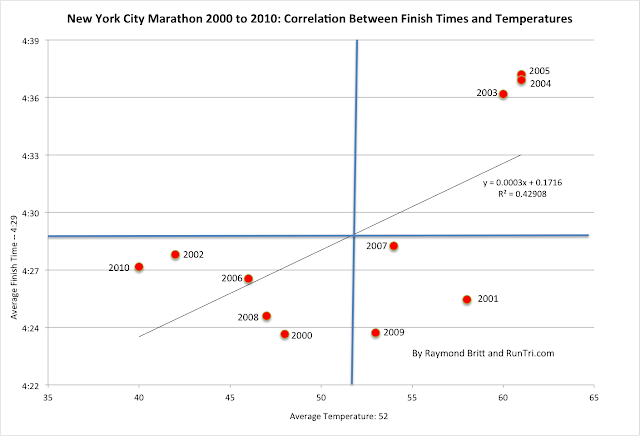 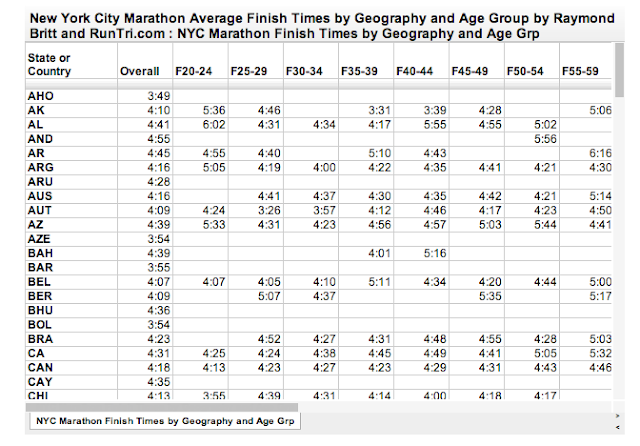 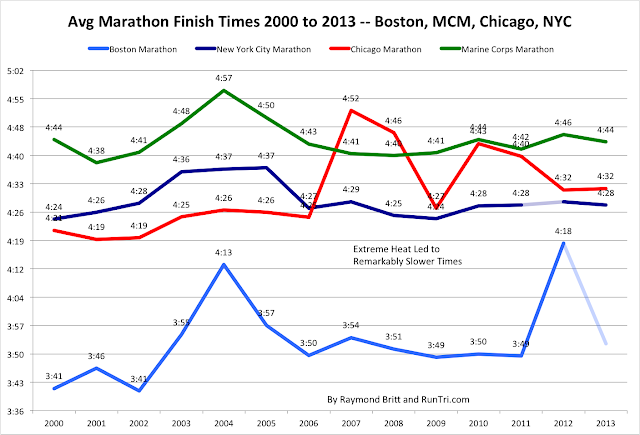 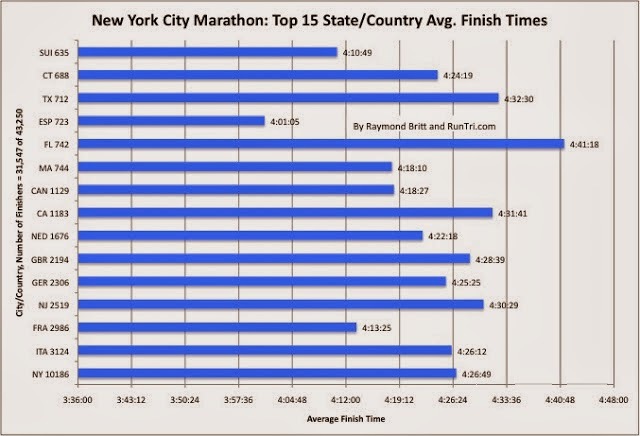 Wall Street Journal & RunTri Analysis: Are Europeans Faster Than Americans at NYCM? 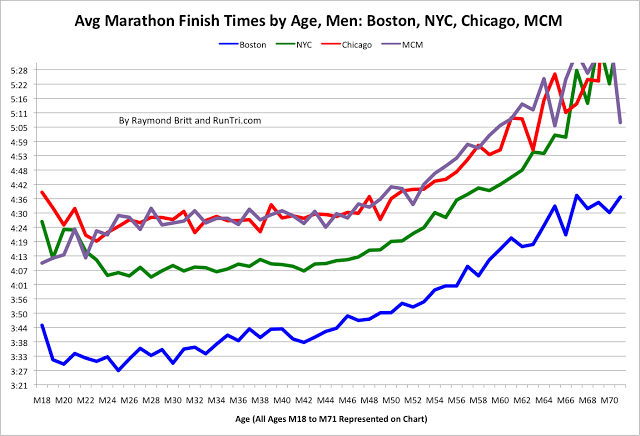 Extra credit: We ran our NYC Marathon with a camera, documenting the experience mile-by-mile; a great course tour for rookies and veterans alike; see The NYC Marathon Course Photo Experience. Here's what you need to know to have your best New York City Marathon experience. 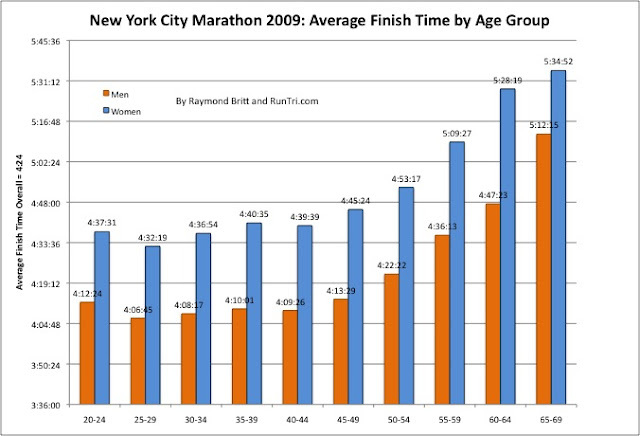 For everything else, www.ingnycmarathon.com.